Motion for no change to membership dues was approved at 2004 AGM. 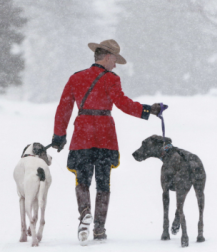 At the request of the donor of the Richmore Obedience Trophy, Grete Fuchs, all owners of the Great Dane receiving this award must be members in good standing of the Great Dane Club of Canada. “that the President should be in attendance at all National Specialties, but should not have to bear the expenses of traveling, ie airfare, if the Specialty is being held in another province other than where the President resides. 1. Every division of the Great Dane Club of Canada shall support a rescue program including surrenders, fostering, and adoptions. The rescue program may be created, managed and operated by the Division, or, the Division may support an outside rescue organization in their region providedthat organization meets an acceptable level of care as determined by the Division. 2. Where the division supports its own rescue program, or that of an outside rescue organization, the division must ensure that each Great Dane surrendered to rescue shall have a temperament assessment and medical examination by licensed veterinarian performed. 3. Where the division supports it’s own rescue program, or that of an outside rescue organization, the division must ensure that each Great Dane surrendered to rescue shall be sterilized either prior to leaving the care and control of rescue or as a condition of adoption. purposes of adoptions, surrenders, or any other matter related to the health and welfare of Great Danes.